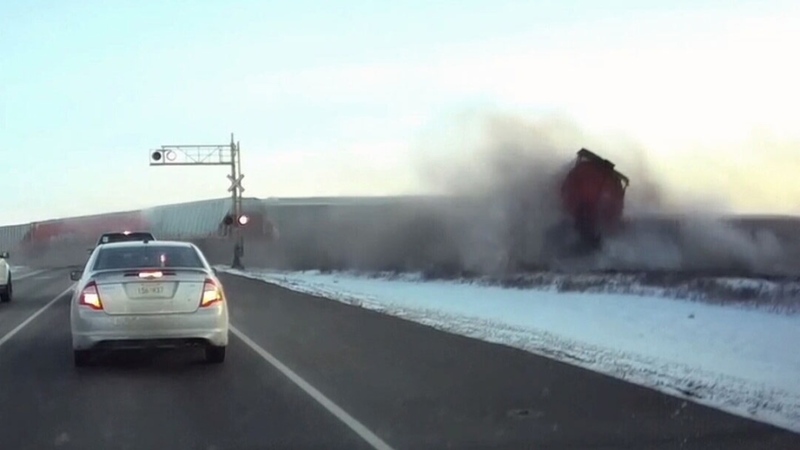 A dashboard camera has captured the moment a 52-car CN train carrying grain derailed near a rural intersection just north of Saskatoon, Sask. Clean-up of the area has been underway since Tuesday evening. 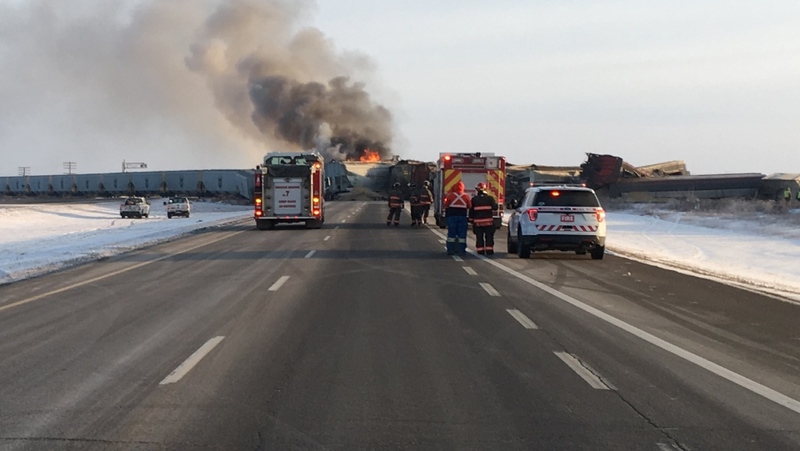 Firefighters were called to the intersection of Highway 11 and Wanuskewin Road in near Warman just before 9:30 a.m. on Tuesday, where they saw 30 rail cars had been derailed and were leaking fuel. “We have a fire that’s flowing. 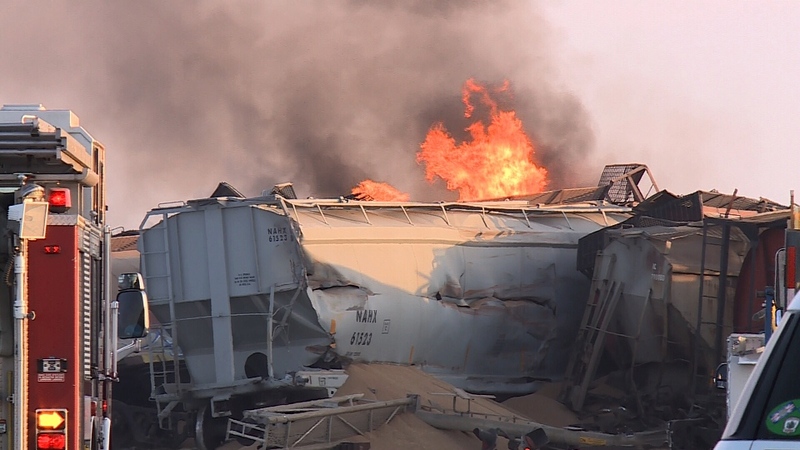 The liquid fuel, the diesel, is actually flowing and igniting at the same time so it provides some additional challenge to control that,” Saskatoon Fire Department Assistant Fire Chief Wayne Roger told CTV Saskatoon. Firefighters and a local RCMP say the blaze was fully extinguished by 1:00 p.m. The cause of the crash is still undetermined. In a dashboard camera video of the incident, six vehicles are stopped at a railway crossing as the train passes through. As the train crosses the road, some of the rail cars can be seen bobbing up and down until they tip over and begin piling into each other while black clouds surround the fallen rail cars. 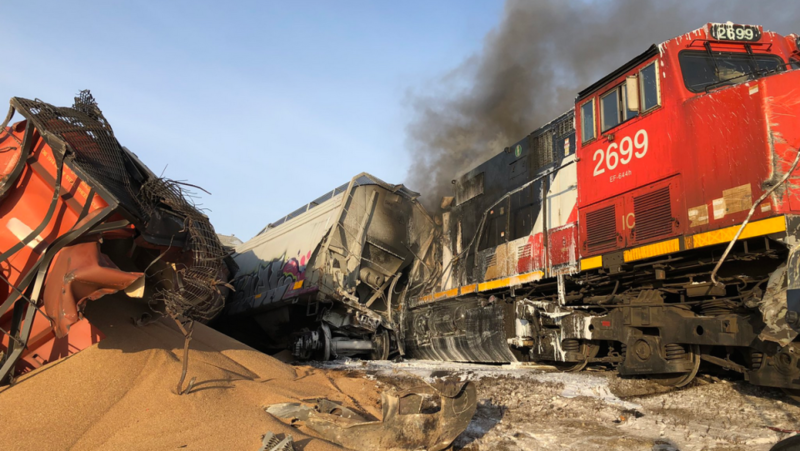 The woman who shot the video, who wishes to remain anonymous, told CTVNews.ca she could feel the crash physically and the sound from the derailment was louder than her microphone picked up. No one was injured and the fire department said there wasn’t a risk to the public’s safety. Rachel Baird, who saw the crash, said she couldn’t believe her eyes. As of Wednesday morning, all derailed cars have been removed from the affected intersection. Clean-up crews were on scene repairing the track. A single southbound lane is open for traffic on Highway 11. All northbound access remains blocked. 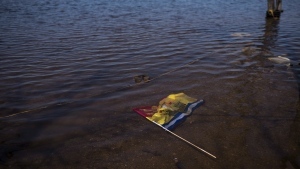 Warman RCMP is still suggesting drivers find alternative routes to take to avoid the area. Investigators from the Transportation Safety Board have been working since Tuesday night. In an emailed statement to CTVNews.ca, CN spokesperson Jonathan Abecassis said, “CN apologizes for any inconvenience caused by this incident." Traffic Advisory — Highway 11 traffic detoured around train derailment; emergency vehicles on scene; follow police direction. The roughly 50-car CN train was carrying grain.